Whatsapp has said is that he is going to bring a new feature for users this week, which will make it easy to find out which messages have been forwarded. If these messages are forwarded, then users should check whether the facts in it are true or not. 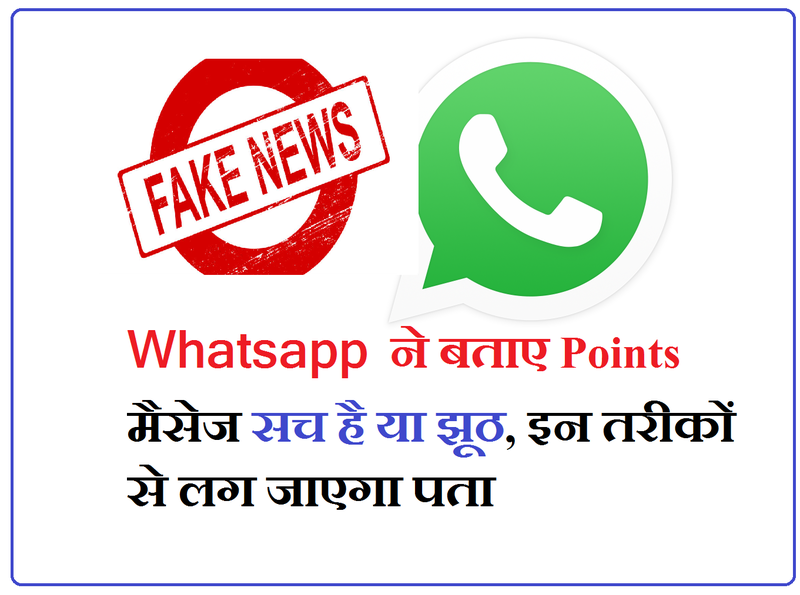 Whatsapp has said in an advertisement issued that find out about such information or tales that are difficult to believe quickly, whether it is correct or not. Support other sources for this. It has been suggested in the advertisement that users should view photos and videos very carefully. Photos are edited many times, so go online and find out about photos. What guidelines are issued by Whatsapp says in the use of many other news sites for information about the messages. Through it, you can know which report is true or false. In most of the such messages which contain false news, misspellings are used. In such a way, investigate these types of messages thoroughly.